"Best regulated wallet and exchange"
Coinbase offers a wallet of different currencies that includes Bitcoin, Ethereum, XRP, BAT and other currencies currently. The best thing about coinbase is that it only adds the strongest coins that exist and not any currency that sooner or later ends up abandoned by your development team. In addition with coinbase we have the possibility to use your Exchange which besides being regulated is one of the most volume of market currently have. The volume is real unlike many exchanges that show a fake volume. - You can buy Bitcoin and other currencies simply by using a credit card or bank account. - The sale of coins to cash (USD / EUR) is immediate, so in less than 1 minute you can sell your coins and withdraw to your bank account. - Although it is possible to link a paypal account can only be used to withdraw your money to Paypal, never to buy with the balance of your Paypal account. - It has very few coins available, there are many interesting cryptocurrencies that are very famous and have great teams and community supporting them but they are not added to Coinbase. I recommend that you use Coinbase as a virtual wallet or exchange because it is a recognized and pioneering company in the world of virtual currencies for a long time. Also your money is safe with them since they are backed by very important companies. Sometimes, because I work using the Internet, some of my clients make payments through Bitcoin, so I use Coinbase to convert these virtual currencies to Euros and withdraw them to my bank account quickly and safely. "Control of Cryptocurrency with the Simplicity of Coinbase"
Enchanted to be a wallet in which you have the opportunity to send, receive and store some cryptocurrencies in an easier, simpler and safer way. The feature that makes this special purse is that you can convert your Bitcoins in dollars or euros and thus avoid decreases or increases in market value. When changing it only reflects a small commission. In addition, you can send your money to a bank or credit card account. There are several reasons why Coinbase is one of the most famous exchanges in the world, and one of them is security. This platform has the backing of recognized investors and uses first level security technology. Few things dislike a platform as recognized as this and that is that there are countries where the sale is not available, anchoring the account can only be done by credit or debit card, the accounts are monitored and the assistance service is not the best, he has received both criticism and praise. I recommend Coinbase for being one of the largest cryptocurrency companies in the world, with support for 33 countries, with more than 20 million customers worldwide. Coinbase has a wide range of services, but its main service allows users to buy and sell Bitcoins through their bank account, credit card and debit card. Our greatest benefit is knowing that Coinbase is safe because it complies with all applicable laws and regulations in each of the countries where it operates. It is also important to note that all the digital currencies with which Coinbase operations are carried out are fully insured. This means that in case the platform experienced a violation of your online storage, the insurance policy would pay to cover all those funds lost from the customers, this provides a peace of mind and full confidence when choosing this wallet. "Coinbase is secure and good for beginners"
Almost everybody I know who does Crypto trading is part of the Coinbase community in some way. Coinbase is definitely one of the more secure websites when it comes to cryptocurrency trading, and I feel that they are website to go to for new investors. The platform recently added a few new coins like ZRX, so they are clearly eyeing an expansion. Compared to other websites like Binance, Coinbase is lacking in options. If you're looking for any of the major coins (e.g. bitcoin, ethereum, litecoin), then it's not much of an issue, but if you want to invest in other coins like VeChain, then you're out of luck on this front. Like I said earlier, this is the place to go if you're a beginner. They have a trustworthy reputation across the board, and their interface is easy for people who are not that great with technology. N/A, I haven't used Coinbase to solve any business problems, since I'm using this for myself only. As far as benefits are concerned, the ability to easily send buy/sell requests, and deposit/withdraw money from a bank account are major benefits. Coinbase is usually faster in terms of processing these requests as well. "Es útil y no me ha fallado nunca"
Comprar bitcoin es en ocasiones difícil y problemático, y de todas las webs que he probado, esta es la mejor. Cuando algo ha fallado, el soporte contesta rápido y resuelve el problema con prontitud. Es la empresa de este tipo más grande y funciona de forma rápida. Las tarifas son bastante altas. Demasiado altas. Me gustaría que se bajaran un poco de la burra, porque vaya, cuando hablamos de cantidades no muy grandes se te va un buen pellizco solo en tasas. Pero bueno, es algo que aceptas al registrarte. Necesitas confirmar tu cuenta y en ocasiones lleva mucho tiempo, así que si estás pensándotelo, deja de pensar y regístrate para cuando lo necesites. Quizá quieras comprar en un momento dado y el bitcoin se haya puesto por las nubes para cuando te decidas a crearte la cuenta. Varias promos y donaciones las recibimos y gestionamos a través de coinbase. Nos ha servido tanto como para introducir dinero como para recibirlo, hacer sorteos, promociones... Además, como ha expandido su servicio a otras criptomonedas las posibilidades son mayores que antes. "Coinbase y criptomonedas. Salvación y perdición." La aplicación nos va a permitir iniciarnos en el mundo de las criptomonedas, algo que nos hará prosperar con nuestros proyectos bussiness o fracasar si lo hacemos sin cabezas o desde el desconocimiento. La aplicación funciona rápido y las compras se hacen inmediatas. La aplicación es segura con una encriptación endiabladamente compleja. Una gran ventaja al lado de otras aplicacicones es la posibilidad de comprar bitcoins usando tarjetas de crédito. Tiene comisiones más bajas que la competencia. Funciona en línea, lo que nos va a permitir acceder desde cualquier dispositvo electrónico estemos donde estemos, esto incluye smartphones, tablets, portátiles,, ordenadores de escritorio, y logicamente desde cualquier sistema operativo que cuente con navegador. La interfaz es muy intuitiva y fácilmente podemos hacer envíos de criptomonedas a otras carteras, retirar los bitcoins a mmoneda para nuestro banco, añadir nueva moneda para futuras compras de criptomonedas. Coinbase esta pensada para que inversores nobeles puedan comenzasr de forma sencilla con sus transacciones en bitcoins, ethereums, etc. - La aplicación es gratuita. - Necesitas conexión a internet. - Antes de poder usarla, debes pasar un complejo y largo proceso de verificación, enviando tu passport y la gente de soporte técnico tarda en ayudarte ante dudas. - La aplicación es gratis, pero operaciones de ingresos y retiradas hacia tu banco conlleva comisiones, que si bien es cierto que no son las más altas de este mundo de aplicaciones para compra de criptomonedas, resulta molesto tener que pagarlas. - Sin las inversiones las realizas sin cabeza y sin estudios de mercado puedes quedarte rápidamente sin nada. - Teniendo una cartera en coinbase, estás listo también para hacer negocios pagando/cobrando en las criptomonedas más habituales. Con Coinbase pagrás las comisiones más bajas si te animas a ingresar en el mundo de la compra venta de criptomonedas famosas como bitcoins, ethereum, etc. Además te va a permitir comprar a otras empresas y recibir pagos una vez que tengamos configurada la cartera virtual. Además la aplicación es gratuita. Si necesitas realizar compras de criptomonedas (bitcoins, ethereum entre las más famosas) necesitas una aplicación que ofrezca seguridad y cobre comisiones bajas, y CoinBase te ayudará en este sentido. También te permite cobrar a tus clientes en criptomonedas. Coinbase is a starting point for entering and exiting the crypto market. You buy BTC or ETH as your base trading pair and then usually migrate to other exchanges for other altcoins OR simply just holding the coins as your investment. Coinbase has been accused of insider trading due to "pumps" that have occurred around listing new coins. They also partnered with circle to create a stable coin that can be locked at any time that a user "violates their terms of service". Coinbase is a very user friendly platform with good liquidity to enter the crypto markets and also cash out. I do have some concerns that they are moving away from their main niche, and trying to list a lot of coins. Very user friendly and serves as a starting point for people converting fiat $ to crypto. "Super easy to use and no extra nonsense "
We were able to make the purchase of what we needed super fast and get it transferred where it needed to go to finalize the project. Bought a very small amount of something to get an account confirmed and the transfer was seamless. Definitely, something that's going to be used in the future. There was not a lot I didn't like. Wish the account was able to be confirmed easier rather than using small transfers for verification. Other than that this was exactly what we needed. I imagine in the future there will be far more options available on what can be bought and sold instead of just a few options currently available. Hopefully, more trading options will be available for use in the future. This already works wonderfully and if more options get added its only going to be up from here. Not to mention the app is stupid easy to use. Forgot to mention that. Anything with an app has my vote - assuming the app actually works. And this app does work. We were able to get a product we've needed using a safer modern way that worked best for us. There was not a lot of excess time spent jumping through hoops to make the account and get what we needed and very very easily get it transferred over to the account we needed it to be in to continue what we were doing. This is a huge time saver and it, in the end, cost us less money because it didn't take all day and night to get it finished. "Great place to buy bitcoins"
the biggest feature of coinbase over other crypto wallets is the ability to buy bitcoins using credit cards, most of the other platforms don't allow you to do so. the fees are low compared to other platforms which are another great thing about it. the security of the wallet is awesome, primarily the wallet is insured which is a great relief when you're dealing with money. over that you got options to increase the security of the wallet using two-factor authentication as well as multi-signature security. you can easily access the platform from the web as well as mobile devices, the mobile app od coinbase is absolutely great and lets you access the platform from anywhere. it's very easy to send and receive bitcoins between coinbase uses and the fees are quite low too. there are also many options to withdraw the bitcoins too including but not limited to bank accounts and credit cards. you need to undergo a strict identity verification before you can trade in the platform and it's against the basic concept of bitcoins which is an anonymous currency. the system slows down when large transactions are taking place. the support is really bad and takes too much time to reply to queries. coinbase is a platform to trade bitcoins. the fees are low which makes it one of the ideal place. the security provided by them is really great, there are multiple options for you to increase the security of the wallet, also the wallet is insured for $250k which is great although it doesn't cover unauthorised access to the accounts. the two-step authorisation is absolutely great that allows you to secure your wallet. the user interface of coinbase is beautiful and very appealing, it's all clean and pretty easy to find what youre looking for. the mobile application is also great and helps you send and receive payments very easily. another great tool in coinbase is the option to buy bitcoins in recurring payments and which helps you to take advantage of the market prices. the customer support of coinbase is terrible and takes too much time to respond to your queries while many other similar services offer live chat and replies much quickly. the fees are quite high when compared with other services, its a good platform for you to get started but not a great choice once you get experienced with cryptocurrencies. the site lags and takes too much time to respond to high load and that's quite frustrating when were dealing with money and the market price changes in seconds. paypal payment options is available only to sellers which is really bad. also, the fees change from 1% to upto 7% when we're paying through credit cards. if youre starting out this is a great platform. buy and sell bitcoins as well as invest in them. this is a great platform except for the factor that the fees are quite high. "Coinbase is the easiest way for anybody to get access to cryptocurrency." The design of the platform is extremely simple. There is buy and there is sell, and there are even bundles that coinbase has that gives you various different coins for a set price. The charts are also very easy to navigate. There is an extremely scarce amount of coins on the platform. Compared to other cryptocurrency exchanges (although Coinbase is technically not an exchange itself), Coinbase is severely lacking. By far the easiest way to purchase cryptocurrency, learn what it means to by cryptocurrency by reading their guides and looking at their videos. Coinbase is allowing for me to be able to buy cryptocurrency and use for my personal use. Coinbase is the easiest way for me to access cryptocurrency and I can trade with others by purchasing on it. "For U.S. crypto beginners, Coinbase is the go-to exchange"
Crypto is still a fledgling and maturing space. Therein, UX is generally a problem for now. Coinbase makes the onboarding and participating in crypto very easy for beginners, individuals and enterprises alike. But it's not just a starter platform. Its solid platform and services will keep many around long after they've taken the leap into digital assets. Generally speaking, think of it like the PayPal, Square, or Venmo of crypto. The fees are perhaps the most unpleasant thing about the platform. They feel high. I haven't used any other U.S.-based exchanges, so I can't compare their fees to anyone else's though. If you want quick, solid, and easy, I'd recommend Coinbase. In America, an alternative is Gemini, though I've never personally used them. As a contractor in the space, my paychecks come entirely in crypto. Coinbase has been *the* keystone of my business flow. I produce work, I get paid, and I cash out easily to my bank account - it's a familiar experience to getting paid through PayPal, for instance. Just easy. And I do feel like Coinbase is gunning to make the platform as useful as possible for people like me. "Coinbase, el mejor sitio para comprar Ethereums"
Es de las mejores casas de cambio de criptomonedas, esta respaldado por la FDIC, por lo tanto el dinero esta seguro en caso de que se hackee la web (como ha pasado en otras muchas casas de cambio). Tiene una aplicación de móvil muy buena y es una web segura (con dos factores de seguridad), siempre te manda un mensaje al móvil con un código cuando se accede a la cuenta. También el acceso a COINBASE te da acceso a GDAX donde puedes ver todos los valores en tiempo real y hacer cambio de criptomonedas. Curiosamente en GDAX tiene menos comisiones que COINBASE. Lo que menos me gusta es que no tiene mucha variedad de monedas para intercambiar, por ejemplo BINANCE tiene muchas mas opciones. Otra cosa que no me gusta es que tiene mucha comisión para introducir dinero por tarjeta de crédito lo que te exige tener que estar haciendo transferencias bancarias que tardan mucho tiempo y el movimiento de dinero así no es ágil. Tampoco me gusta que tengas que estar transfiriendo el dinero desde gdax para así evitarte comisiones altas. Si estas considerando el uso de COINBASE te aseguro que es una web muy seguro para adquirir Ether, BTC. Eso si, hay que tener mucho cuidado ya que en un momento has perdido todo tu capital. 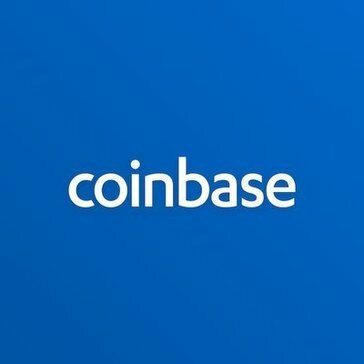 Coinbase está dirigido a los inversores que por primera vez buscan empezar con criptomonedas de primera calidad como BTC, ETH, LTC y similares. Ofrece una entrada segura, protegida y regulada en el espacio del mercado de criptomonedas para los inversores a largo plazo. Los operadores pueden utilizar su plataforma GDAX para operar con bajas comisiones, mientras tienen la tranquilidad de que sus fondos fiduciarios están asegurados por cuentas de la FDIC. "Coinbase is the place for first time crypto buyers to dip their toes"
- Best secured US exchange with FDIC backed accounts for your USD (fiat) balance at any time and insurance on the crypto balances in case Coinbase is hacked. Coinbase is aimed towards first time investors looking for starting out with top coins like BTC, ETH, LTC and such. It offers safe, secure and regulated entry into cryptomarket space for long term investors. Traders can utilize it's GDAX platform for trading with low fees while having a piece of mind that their fiat funds are secured by FDIC accounts. "The Most Accessible Cryptocurrency Exchange"
Coinbase is the most user friendly cryptocurrency exchange in the market. The fees imposed for purchasing cryptocurrency with a credit or debit card are minimal which makes it easy to increase positions. This is also one of the easiest exchanges to liquidate cryptocurrency into traditional currencies once you have a verified account. There is a very limited choice of cryptocurrencies available. Other than that it is a stand out platform. This is an essential gateway exchange in terms of turning fiat currency into crypto currency. You will need to use other exchanges to trade with alt coins but start with Coinbase. Coinbase allows us to easily and quickly take positions in major cryptocurrencies which we can then transfer to other exchanges to trade with a wider variety of alt coins. "All crypto exchanges are dangerous. This is the one you can trust the most. " Although it is still by nature a centralized exchange, it is the most trustworthy of all the major ones and the one most likely to keep your funds safe. Centralized nature, lack of selection of coins, rampant speculation leading to chaos in the markets. As safe as it is, being the most safe, ALWAYS hold your own private keys. You don't want to be unable to keep your own funds if something happens to them. Investment, Marginals (no longer allowed in US) shorts, and longs. "User friendly interface to the non-technical general public"
I like how they have abstract most of the technical side of blockchain aside for the general public, who has limited technical knowledge and just want a smooth experience. Funding policy is pretty lenient and easy, considering the limit is pretty high in my opinion and pretty suitable for the average public. If you need more limit, then it's probably better to use coinbase pro. It could be too simple and basic, lacking some functionalities, and they also take a larger percentage of fees that doesn't take "maker" and "taker" policy into account. However, that is understandable considering they have GDAX (now coinbase pro) for those functionalities. In addition, the fees are on the more expensive side, and customer service is not the best. It also could take a long time for my transactions to go through, sometimes up to six hours of wait, causing panics and unnecessary grieve. It is a good platform to start with, although consider changing to other platforms such as coinbase pro for more functionalities or platforms like binance for more options of cryptocurrency. Coinbase allows the average person to get in contact with cryptocurrency. It allows cryptocurrency to be better conceived with the general public, ripping the "ugly UI" impression out of most dapps or blockchain related things. It was the first platform I used to buy cryptocurrencies, and it gave me some confidence as a user because they are government insured and certified. i love the fact that you can use you debit/credit card with this product without a minimum . "Coinbase is the best crypto exchange"
Coinbase is by far the easiest cryptocurrency exchange to get setup with and store a variety of coins. Really only the fee structure, because it can be much higher than other platforms, and requires market orders if you aren't using the pro GDAX version. They could add support for a few more popular coins. Make sure to understand cryptocurrencies a bit before getting involved. The fees can be fairly high, so make sure to study before making an investment. I've been able to easily manage my cryptocurrency wallets over the past few years using Coinbase, and easily make payments when necessary. "The main gateway for crypto investors"
Coinbase is the main gateway for crypto investing. Interface is simple and pleasant to use, they offer most of the main coins and tokens (BTC/ETH/LTC and new tokens). They offer optimal account safety (funds). They also offer Coinbase Pro with a more advanced interface for expert users. KYC is fast. Support team takes extremely long to get back to customer and answers are mostly automated. It is also impossible to cancel an order that has already been placed. It also takes multiple days before you can withdraw your coins. "Best of some bad choices"
I liked that Coinbase allowed me to start exploring the world of Cryptocurrencies from inside the USA. I disliked the hoops that I had to jump through to join, and I disliked that my information was not truly private and could be made available to the Government. I also disliked that there were not many different Cryptos available. Coinbase appears to be here for the long run, and is investing in making cryptocurrencies more viable by adding diversity to its portfolio. The biggest thing it provides now - post startup - is credibility for still being around. The main benefit has been in using Bitcoin to acquire tokens in new currencies, and to allow access to sites and activities which are not regulated in the USA. "Smooth and safe to interact with for non technical people." I like the coin options and the safety that comes with a trusted company. I dislike the time it takes to trade your coins once purchased. It provides easy and safe access to money transfers and fast payment solutions. "I have been involved both as a B.C. developer and Digital asset investor / Fintech since 2013"
Simplified U.I., and trustworthy custodial (regulated exchange) platform. Non-existent person to person customer service. The ability to call a Coinbase representative directly is a badly needed component. for ALL exchanges... not just coinbase! Coinbase is a good first wallet/exchange solution for those who want to get involved in the cryptoverse. Exchanging cryptos with other Coinbase users is relatively effective. The benefits , though not fully realized, yet, are friction-less, P2P, value exchange. I really like that I can trust Coinbase. They are a U.S based company and are held to the highest standards. Many other exchanges are not so scrupulous. Buying cryptocurrencies. They also allow merchants to accept crypto as payment, but I don't personally use that. Coinbase makes investing and checking on your (bitcoin) investments very easy, especially for first -time investors and those new to cryptocurrency. I love how it shows real time changes in market and that you can set alarms to go off when the price of bitcoin rises or falls between the parameters you set. I don't have any at the moment. I've used competitors and haven't found them as easy to use as Coinbase. Investing and managing my investments. "Great exchange but you'll want to begin creating your account BEFORE you need it." The free transfer from NiceHash to Coinbase is very handy. Transfers to and from bank accounts and between currencies is relatively painless. The automated ID verification can be absolutely useless at times and it's nearly impossible to get a human to resolve the issue. Get registered and verified before the need of the service is critical. It simplifies bringing your crypto-currency profits into the realm of fiat currency. There is not really anything to regret. The only problem is general and that's the problem of scammers. Makes sales and purchases easier and less bulky. What I like best about coinbase is the ease of registration and use while having a account on Coinbase. Very Easy with a few clicks to buy any Cryptocurrency they provide. What I dislike about coinbase is the lack of coins that other websites like Kraken or Binance offers. Coinbase only offers 9 Cryptocurrencies right now. It provides me with the ease of purchasing any Cryptocurrency they offer. They offer standard market prices and provide their own exchange, Coinbase Pro that allows you to trade your Cryptocurrency while having little to low fees. "Ease of use for cryptos"
there is a vast amount of people complaining about problems when they have tried to withdraw funds, which made me switch. make sure customer support is on point! "Easy to use platform with exactly what you're looking for in a crypto platform"
There was really no "wow" factor in the app, which is just fine in my opinion but I can see that being a criticism. I used Coinbase as a personal application and therefore did not have a business problem to solve. Coinbase did strip down the complex idea of blockchain and cryptocurrency to its bare bones and it made it easy to understand. "Coinbase is the best crypto currency trading application "
Lots of security for the app - I didnt like always having to do multi-factor security, but I get it. The app is very user friendly - great way to introduce friends to crypto. As a more advanced trader I find myself needing to still use other exchanges like Binance occasionally. We completely depend on it for converting crypto to fiat. "Coinbase is extremely easy to use"
There isn't a better app or place to buy crypto in my opinion. This is especially user friendly for new beginners that want to invest in crypto today. The fees associated with Coinbase can add up and discourage users from using it. Investing in crypto for profit. "Great UI and limited API usability "
Great user Interface design and very intuitive and attractive for users. Developers: great fast responsive API although the limitations make it harder to use trading bots in some instances. Customer support responsiveness and follow up. The duration of some bank transactions. Easy bitcoin buying option for credit cards. Big trading volume on daily basis and liquidity in the order book makes it easier to execute large orders. It's user and mobile friendly and the app is very simple to use. "Simple way to get started"
The simplicity and intuitive nature overall. It's easy to learn, navigate and understand. I personally haven't had bad experiences, but I've heard concerns over security. Good if you're just starting off. I like Kraken more, but it's not as easy to get to know. The transfers and purchases in Coinbase are easy, the fees are just a little higher than other sites. "A good entry into cryptocurrency "
Coinbase is well-known and established. It is an easy-to-use fiat gateway exchange where you can purchase the top selection of cryptocurrencies. Transaction fees for deposits, transfers and withdrawals are a small hassle. Currently none in a business context. Intuitive and simple. I like how you can compare the different values over time. Seeing the history of the coin and continuous updates. Buying coin could be more straighforward. It helps with investments and ease of trading. * We monitor all Coinbase reviews to prevent fraudulent reviews and keep review quality high. We do not post reviews by company employees or direct competitors. Validated reviews require the user to submit a screenshot of the product containing their user ID, in order to verify a user is an actual user of the product. Hi there! Are you looking to implement a solution like Coinbase?